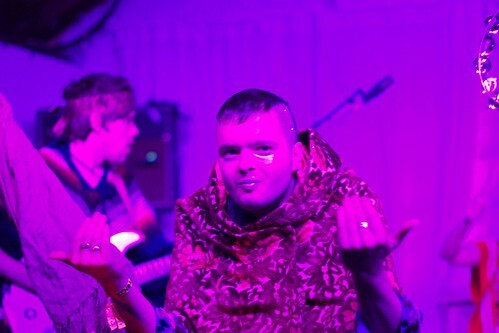 My second encounter with British Sea Power in the space of a week was their three day mini festival ‘Sing Ye From the Hillsides II’, at the Tan Hill Inn. 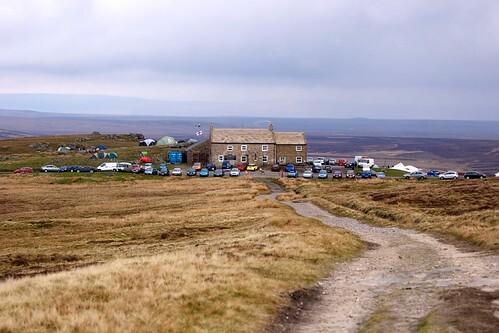 Tan Hill Inn is the highest pub in the UK, situated in the North Yorkshire Dales. 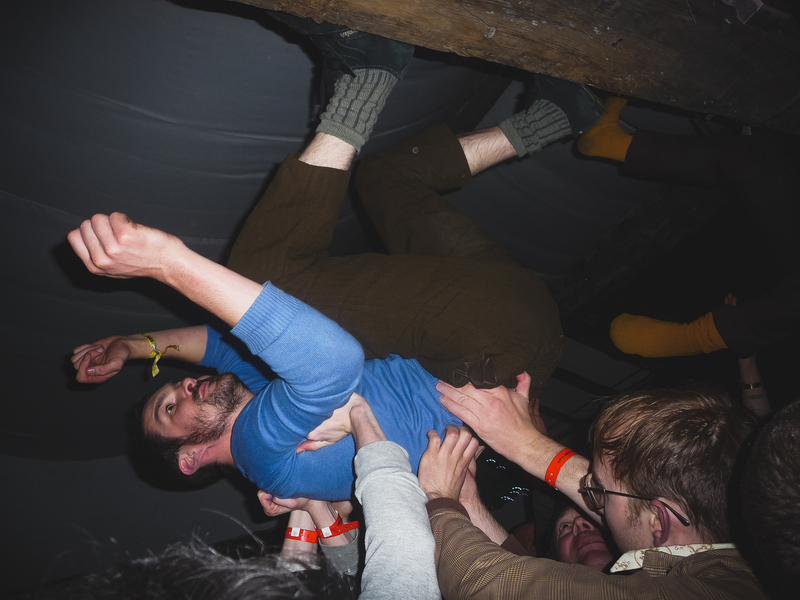 and of course British Sea Power headlining the Friday and Sunday nights. The whole weekend was fantastic, if a little cold. With Tan Hill’s staff doing an fantastic job of keeping the food and drink flowing. 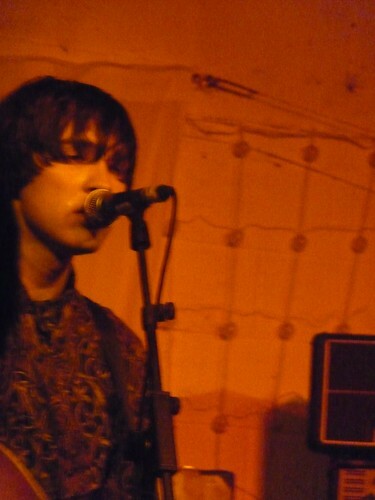 BSP’s choice of bands (ably helped by Mark Riley) was absolutely spot on. Although some of the music wasn’t to my taste, none of it was bad. 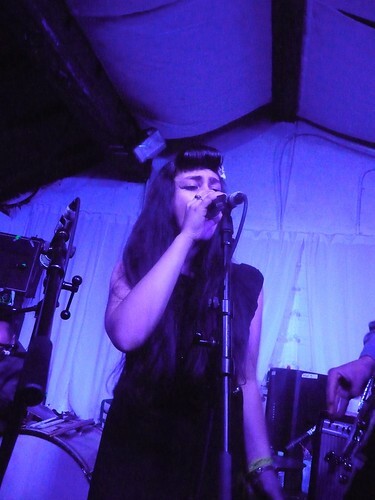 Some, such as Rose Dougall had previously failed to impress me, yet here with a full band, worked. Matt Eaton without his band, preformed a random set in the bar accompanied by Noble that could have been a disaster, but turned out to be a refreshing ‘down to earth’ set. Everything just seem to work. 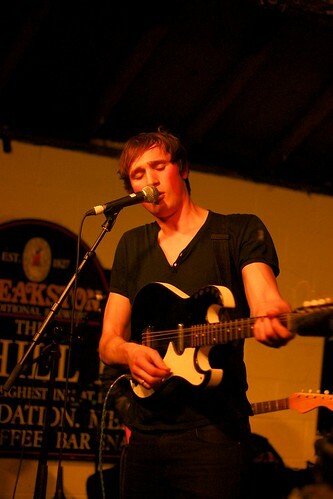 The standout performances for me was ‘Race Horses’ with their energetic indie pop sound. Tom White’s amazing performance where the stage wasn’t big enough for him, was a performance where even if you didn’t like his music, you couldn’t help but enjoy. 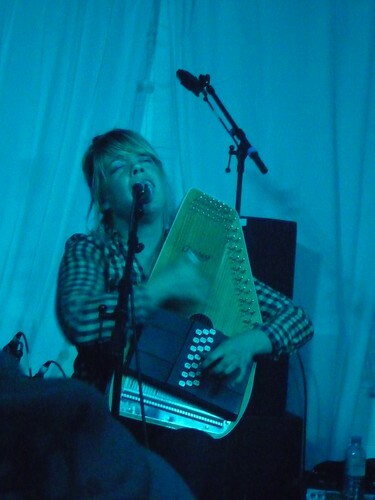 Basia Bulat’s amazing voice helped the Americana inspired indie sound lift the audience (she’s Canadian). Probably the biggest surprise was the amazingly talented Kitty, Daisy & Lewis who brought us a big enjoyable slice of rockabilly. All the members of the band are from the same family, including Mam on double bass and Dad on Guitar. With the kids able to move between all the instruments, I wonder what home sounds like in the evenings. Most of the bands were so good, that since returning, I’ve bought several of their albums (indicated by * in the lists above). Moving on to the main event. British Sea Power played two sets. The First on Friday night and a second set on Sunday. Despite Sunday’s set being affected by a power cut, both sets were more than up to par. 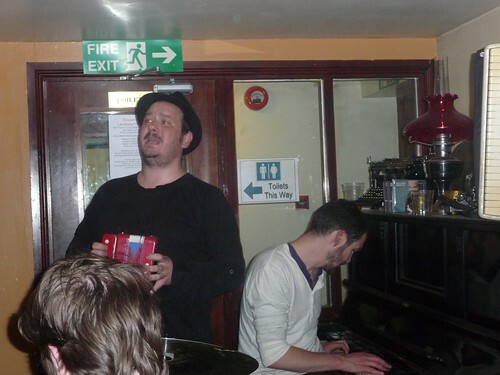 On both nights, the highlights were the fantastic encores. Sunday’s included Yan and Noble crowd surfing and then hanging from the rafters during the energetic 20 minute performance of Lately.